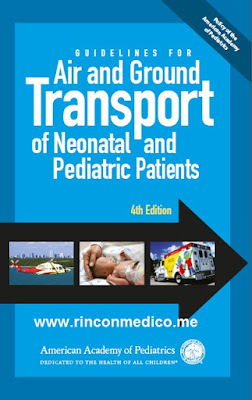 Guidelines for Air & Ground Transport of Neonatal and Pediatric Patients Manual, 4th Ed. Completely revised and updated, the new 4th edition includes must-have information and guidelines for health care professionals and hospital systems interested in developing transport systems and improving the transport care they deliver. Authored by leading experts in transport medicine, the editorial team is devoted to ensuring that appropriate evidence-based conclusions and recommendations are included, when available, for the clinical and administrative subjects presented. The 4th edition covers all aspects of air and ground transport – from team organization and training to equipment selection, quality improvement, safety, ethics and much more.